Without dismissing the real concerns many Chicagoans have about mayor-elect Lori Lightfoot’s record on police misconduct cases, ties to big-business interests, and other issues, yesterday’s election was most likely a win for Chicago sustainable transportation. As I’ve written, both Lightfoot and her opponent, Cook County board president Toni Preckwinkle, had generally progressive positions on walking, biking, and transit issues. But Lightfoot, a former federal prosecutor, took more sustainable-transportation-friendly stances on dedicated bike/walk funding, the North Lake Shore Drive reconstruction, camera enforcement of bus lanes, and reduced transit fares for low-income Chicagoans. Here’s a list of some Lightfoot’s key transportation promises from her platform, the Active Transportation Alliance candidate questionnaire, and my email interview with her campaign. Look into stopping the suspension of drivers’ licenses for nonmoving violations. Increase the number of required affordable units in TODs from the current 10% to 15%. In the wake of Lightfoot’s victory, transportation advocates have expressed optimism about her big plans to improve the local transportation network. They’ve also stressed the need to hold her accountable for following through on these promises despite the car-centric headwinds she will surely encounter. These are big ideas that will be controversial for some. It is up to Chicagoans to push Lightfoot to ensure that she sticks to these plans. As Chicago’s mayor she’ll control both the streets (CDOT) and transit (CTA)—so she has the ability to make these things happen. Rest assured, Streetsblog Chicago will be here to remind Lightfoot of her promises to help create a safer, more efficient, more equitable, and more vibrant transportation system; cheerlead her accomplishments in this area; and, if necessary, call out her administration when the plans get off track. But if all goes well, the next four years should be an exciting time for Chicago transportation. When will the Weber Spur get opened up to bike and pedestrian traffic? Will the TIF funded shopping center building include access to the Weber Spur? Will the missing 2000-feet between the North Branch Trail and the Sauganash Trail get opened? Great stuff. Now to make sure this stuff happens. Let’s hope she doesn’t pull a Rahm and invent new terms, like “buffer-protected” bike lanes. 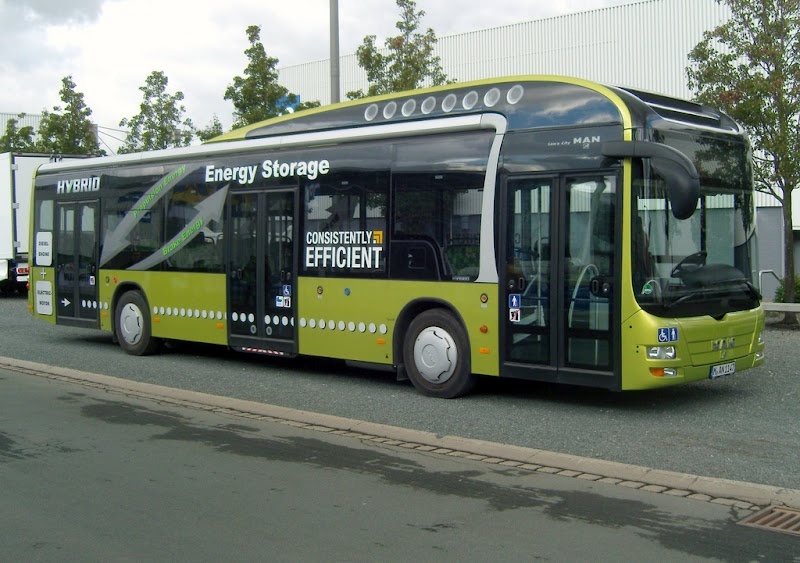 IF she wants to implement all-door bus boarding then I think they should make sure that these new electric buses they are ordering are designed to have possible three doors for entry to reduce loading and unloading times for passengers. If you’re going to commit go all in. TOD development in it’s current form is attracting new residents to transit rich areas, but is arguably still pushing out existing population around the TODs because of the luxury nature of the developments and the fact that no supply is being added mid-market (therefore rents are still increasing overall). Is it really any more pro-transit if the population you’re displacing with current TOD luxury development trends is being forced further out to areas that make them more car dependent? What is her position on the boring company? 1. Lightfoot did not include any meaningful mention of Metra in her transportation plan. 2. Lightfoot answered “Yes” to the ATA questionnaire regarding increasing frequency of service and decreasing cost of CTA connections on Metra Electric, but did not elaborate and as far as I know has made no other mention of this publicly. 3. The 11 Metra lines may be the most underutilized existing transit infrastructure in Chicago. Increased frequency of service where feasible (given freight interference, etc. ), decreased ticketing cost, and increased interconnectivity to other transit could lead to a massive increase in ridership of city residents and visitors, displacing many trips otherwise taken by car. 4. The Metra Electric line is the most obvious place to improve service and ridership (given its dedicated passenger tracks, extremely high cost of ridership within the city compared to alternatives, under-resourced neighborhoods that it serves, etc. ), but by no means the only line that has lots of latent ridership potential, particularly during off peak times. 5. Lots of proposals are out there for how to increase Metra intracity ridership, including Crossrail, full conversion of MED to a CTA line, proof-of-payment ticketing systems, full fare integration with CTA, etc. etc. 6. There’s an example of ambitious “commuter rail” (heavy passenger rail) development happening within the region currently with the expansion of the South Shore line, miraculously supported by GOP state government in Indiana and as far as I understand it also the Trump administration. 7. The Chicago mayor has only one appointment to the Metra board, but actually has ZERO official influence in the General Assembly and with the governor’s office. Yet everyone fully expects the mayor to engage with Springfield to improve Chicagoans’ lots. 8. Why isn’t there a bigger push for transit advocates for an ambitious plan for improving and better utilizing existing Metra infrastructure for city residents? Is it so hard to imagine major investment and ambitious new ridership goals?